These services help users solve their day to day problems like navigation, security services and getting location specific information when it comes to tours and travels. Huge investment has been made by LBS (Location Based Services) Technological giants in this space with the increasing popularity of the Beacon Technology. With a looming security threat on the app industry there have been a rising number of attacks in recent years. The focus of mobile developers in the near future will be to include strong data encryption in the new apps they are going to develop. Since, Internet of Things apps play a major role in digital space when it comes to solving human problems, the revenues in this space are looking to reach an all time high and continue to do so in the upcoming years. According to Newzoo reports, the direct consumer spending on apps globally reached $44.8 Billion in 2016 and is projected to reach $80.6 Billion in 2020. 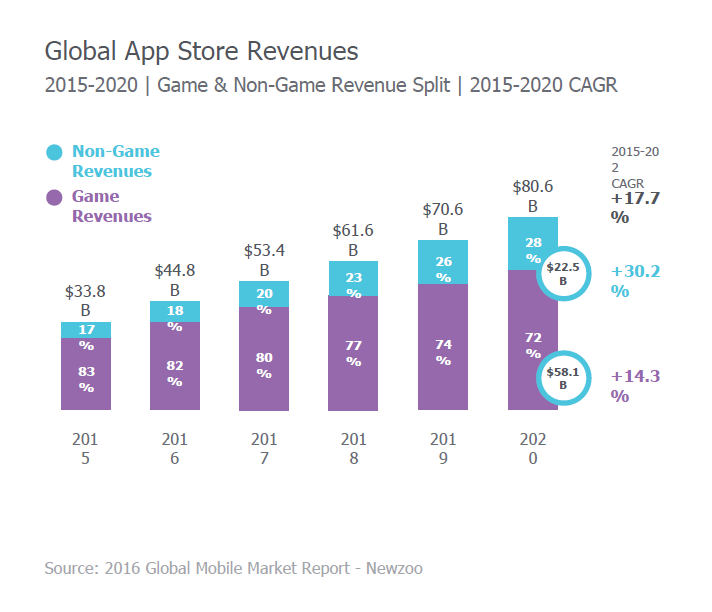 It is not surprising that mobile games contribute 82% in the revenue share. The report also states that this is going to decrease to 72% by 2020 while still rising exponentially in total revenues. Is this trend going to decrease further? We need to wait and watch! Regionally, there have been some very interesting trends to watch out for too. Europe, the Gaming Capital of the world is contributing nearly 83% revenue from mobile games. In the case of LATAM (Latin American Countries) it is 64%. These markets seems to pose a balance when it comes to gaming revenues. While Middle East has 90% revenue generation from games, it is 86% in case of Asia-Pacific. So which country is topping this race for gaming applications? One would think that The United States of America with its gaming infrastructure and societal acceptance would be the front runners. But that is not the case! It is actually China who is in the lead, closely followed by USA and Japan. You can find an exhuastive list of the Top 100 countries here. 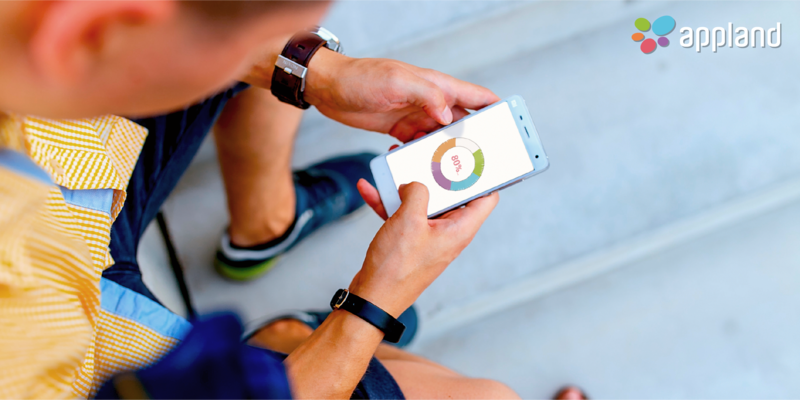 According to reports, games are and will continue to dominate global app revenues, but with the advent of IoT applications, it is hard to say how long games will be the master in revenue generation. Sound off in the comments below and let us know what gaming trends you've been able to discover in the previous years and what predictions you have for the next year.